When we need a quick wash we would take a shower, yet, when we also seek for relaxation and some kind of meditative experience, we would rather go for a hot bath. To enhance your bathing experience to the maximum, there is a whole range of special bath products, including bath foams, bath bombs, bath oils, and bath salts, with the bath bombs being the most popular ones. In this article, you’ll find a comprehensive guide not only on how to use a bath bomb but also how to choose the best bath bomb and make your bathing experience maximum pleasant. 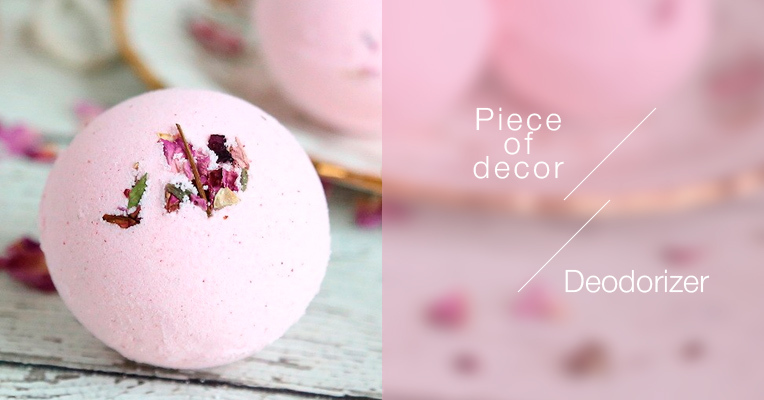 Everybody associates bath bombs with bright colorful balls making up eye-catching displays in beauty stores and exuding a myriad of luxury aromas, delicate and intensive, sweet and fruity, citrus and floral, that immediately get you hooked up. 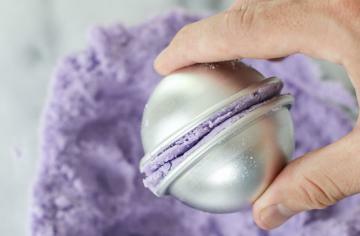 Yet, have you ever wondered what those balls are actually made of and what are the benefits of bath bombs? 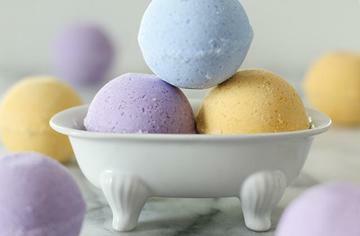 Bath bombs are made of compressed dry ingredient mixtures that effervesce in water. The basic ingredients are a weak acid and a bicarbonate base that remain unreactive when dry and produce a characteristic fizz when wet. 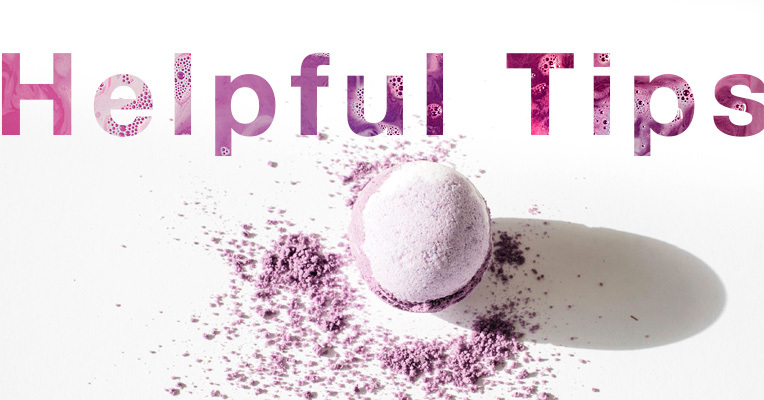 Other ingredients contained in bath bombs include sodium lauryl sulphate, scented components, and dyes to add bubbles, aroma, and color to your bathwater. 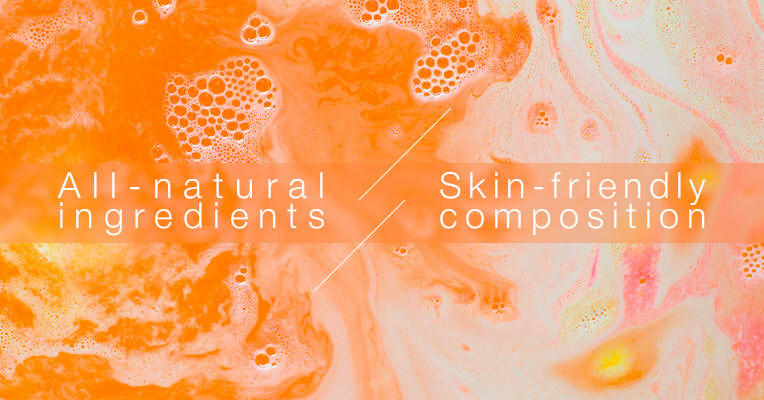 Besides, bath bomb mixtures might contain some essential oils and natural butters to moisturize and nourish your skin and even some dry flowers, herbs, and glitter for aesthetic purposes. Normally featuring a spherical shape, hence is the name, bath bombs come in many different shapes, sizes, colors, and scents to fit the most exacting tastes and preferences. 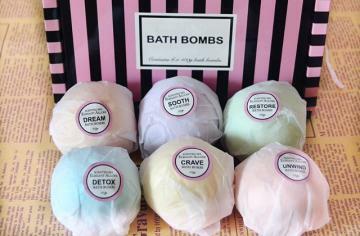 Think there is nothing special about bath bombs but funny bubbles and delightful scents? AT a glance, it might seem so. Yet, once you use one of bath bombs, you’ll feel the difference. Both bombs can take your bathing experience to a new level making it more than simply getting yourself clean. A good bath bomb bath will ease your body and soothe your mind letting all the muscle strain and anxiety evaporate. Here are several bath bomb advantages that will undoubtedly add to your bath times. Unlike many other bath products such as soaps, shower gels, shampoos, body scrubs, and lotions, bath bombs are normally all-natural and contain no harmful substances, harsh chemicals, or irritants that might cause allergic reactions, rash, irritations, or even more serious skin problems, especially for those who have sensitive skin. Premium quality bombs are free from any artificial aromatization agents and toxic dyes. Tap water is often hard and might cause skin dryness and even itching. Bath bombs contain emollients that make water softer and more friendly to your skin. Besides, all-natural essential oils of lavender, rose, chamomile, tea tree, eucalyptus, almond and lemon as well as coconut, shea, and cocoa butters will moisturize, soothe, and nourish your skin leaving it soft, velvety, and supple. Along with fizzing effect, the citric acid and sodium bicarbonate will clean and heal your skin and strengthen your blood vessels. While repairing your skin, these ingredients will give it more radiant, healthy, and younger look. In addition to skin pampering effect, bath bombs help create a one-of-the-kind luxurious and opulent atmosphere of relaxation and indulgence. 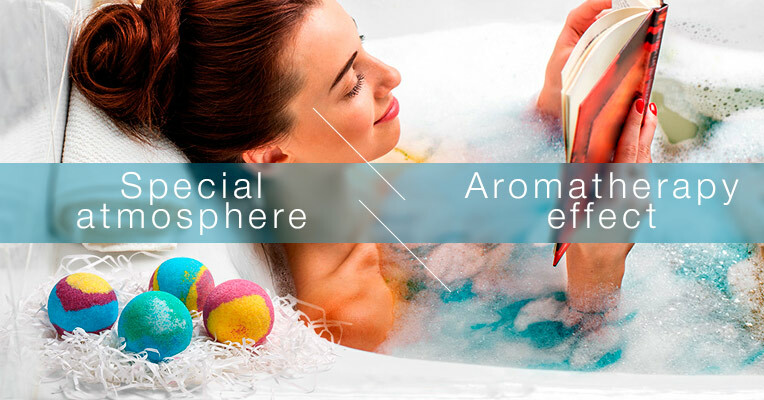 Once a lovely effervescent ball contacts water, it will burst with numerous bubbles, and color splashes, and release unforgettable scents turning your ordinary bath into SPA-quality experience. One of the major benefits most people love bath bombs for is their amazing fragrances filling your bathroom with amazing odors and then lingering on your skin with delicate aromas. On top of that, those scents allow achieving effects similar to those of aromatherapy. All of this is due to natural oils contained in all high-quality bath bombs. If your energy level is low and you take a bath in the morning to refresh and reboot yourself, citrus scents will work the best. It will help you wake up and be ready for the challenges of the upcoming day. And vice versa, if you need to shake off the stress and tension at the end of the day, a lavender scent will turn your bath into a calming and relaxing retreat removing fatigue, soothing your nerves, and contributing to a healthy sound sleep. Fill the bathtub with water. Fill it as deep as you like and choose a comfortable temperature. If you are going to leisure in the bath for longer, go for a bit hotter water and to make your bathing session maximum relaxing, put a bath pillow into your tub. Drop the bomb of your choice into the water. Once in the water, it will start bubbling and fizzing and eventually, it will dissolve saturating the water with salts, butters, and essential oils sealed inside. How long does it take for a bath bomb to set? Usually, it is about several minutes. However, you are free to enter the tub when the bomb is still fizzing. Find a comfortable position and relax. You can either read a book, listen to your favorite music if you have a shower speaker or simply lay back and plunge into serenity peacefully soaking in warm water and letting it ease your entire body. As the water naturally cools down, it is time to get out of the bathtub. You do not necessarily have to rinse in shower after using a bath bomb. However, if you used a colored bomb, the one with glitter or a black bath bomb, it’s recommended to do so. When you drain the water, clean the tub if needed. Simply rinse it with warm water or use a brush or sponge to remove dye residues from the tub to prevent stains. Being an extremely popular beauty product in recent years, bath bombs can be also used outside of the tub. 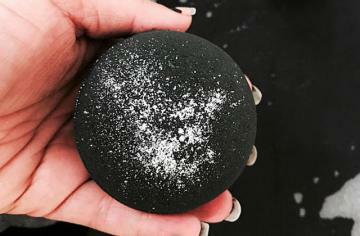 Below, we’ve summed up several alternative bath bomb applications that will be especially useful for those who are not much of a bath person or only have a shower, yet still don’t want to miss that bath bomb trend. Place a bath bomb into a fabric bag made from organza or some similar type of fabric with a tie on the top. You can use it dry as a lined freshener when put in the drawer or you can attach it to the shower head and take a kind of aroma shower. Besides, you can use it as a shower bomb. Just place it on the floor of your shower and let the water break it and release the fragrances. It’s a great opportunity to enjoy bath bomb skin benefits. Though it is not the best option for bright and dark colored bath bombs and those containing glitter, most of the rest will do. Just make sure the bomb you are going to use is of the premium quality and contains only natural ingredients. Crush the bomb to powder and mix it with ½ cup of brown sugar and ⅓ cup of coconut or pure olive oil in a small jar. You’ll get a perfect exfoliation scrub to be used in a shower. Available in all possible monochrome colors, tones, and color combinations, effervescent bath balls not only smell good and deliver fizzy sensation but also nice to look at when dry and can serve a perfect decorative accessory. Simply put several balls into a clear decorative glass bowl and place it somewhere on the shelf, side table or on the stand. Not only will it add a splash of color to your interior but also it will infuse the space with delicate fragrant scents. Dry bath bombs smell as nice as the ones dissolved in water and they keep emitting those exhilarating aromas for a long time. Hence, you can easily use them as deodorizers to remove stinky odors from cabinets, closets, and even from your car. Besides, you can easily make a variety of DIY air fresheners to be placed in a bathroom, laundry room, hall, living room or any area of your dwelling that needs fragrancing. Most people consider bath bombs do not expire. In fact, they do. If you you want to achieve a maximum fizz and fragrance effect, use your bath bomb maximum within a month from the date of manufacture. Many bath bombs include some dry flower petals, herbs, and glitter. 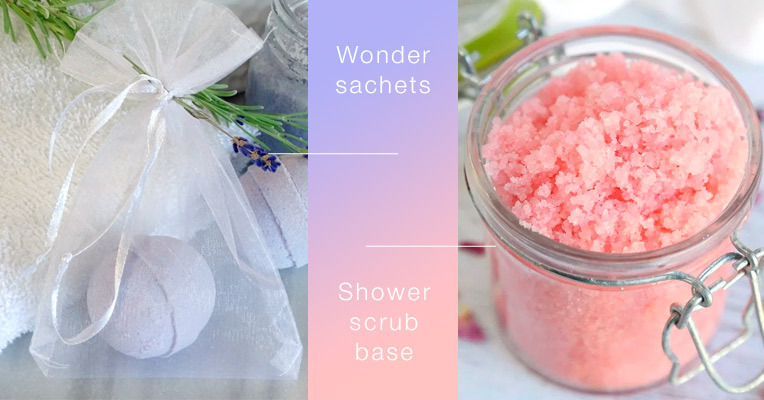 To prevent all those components clogging your drain and sticking to the tub edges, simply put the bath bomb into a cloth or nylon bag to keep the petals and glitter inside and let all other ingredients easily pass through the fabric. 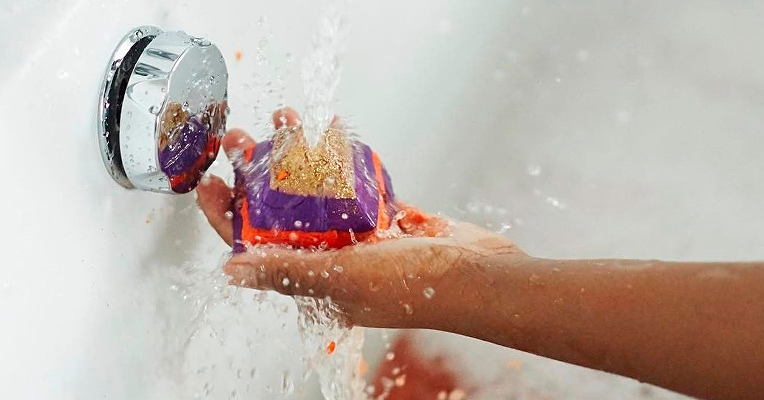 Some bath bombs are pretty large in size, which means you can use a single ball for two baths by cutting your bath bomb in half. Just remember to wrap the remaining half in film and keep it in some dry location or store in some air-tight jar. If you are into any kind of DIY crafts, you can easily make bath bombs by yourself using ingredients to your liking. No sophisticated tools and specific skills required, only several special bath bomb molds to pack the mixture into shape. How to Choose Which Hair Removal Method Works for Me Best 4 Warning Signs of Low Progesterone and How to Deal With It How to Take off Acrylic Nails What Are Solar Nails?